The Person of the Year Awards Gala Dinner has been held annually by the Brazilian-American Chamber of Commerce since 1970. The Gala honors two outstanding leaders – one Brazilian and one American – who have been particularly instrumental in forging closer ties between the two nations. Past honorees have included President Fernando Henrique Cardoso, President Bill Clinton, Min. Henrique Meirelles, and Henry Kissinger. Last year the event was attended by nearly 1,000 participants from the business, financial, and diplomatic communities, many traveling from Brazil. In addition to the Gala, a series of parallel events sponsored by institutions such as FGV, Banco Itaú, BTG Pactual, Bank of America Merrill Lynch, Citibank, and the Financial Times have all contributed to making the week of the Gala “Brazil Week” in New York. 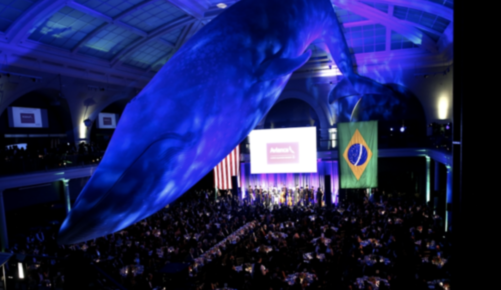 The POY has become the premier event of the Brazilian-American community in the U.S., and its success has enabled the Chamber to expand its annual programming to further develop the ties between Brazil and the United States. 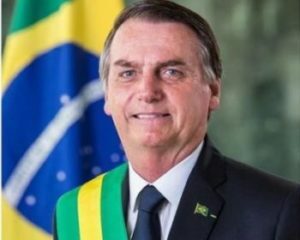 President Jair Messias Bolsonaro is the Brazilian recipient of the 2019 Person of the Year Awards. The choice of President Bolsonaro is a recognition of his strongly stated intention of fostering closer commercial and diplomatic ties between Brazil and the United States and his firm commitment to building a strong and durable partnership between the two nations. To learn more about the honorees, and the event, click on the link below. The Chamber offers several categories of sponsorship for our flagship event: Inner Circle, Platinum, Gold, and Silver. Each category offers a different level of benefits that promote your company and provide access to other events during the week. Please call +1 212 751-4691 or e-mail awardscommitteepoy@brazilcham.com for complete details.